Dance (2005) and Speaking Dance (2006). We are now offering you their second trilogy. 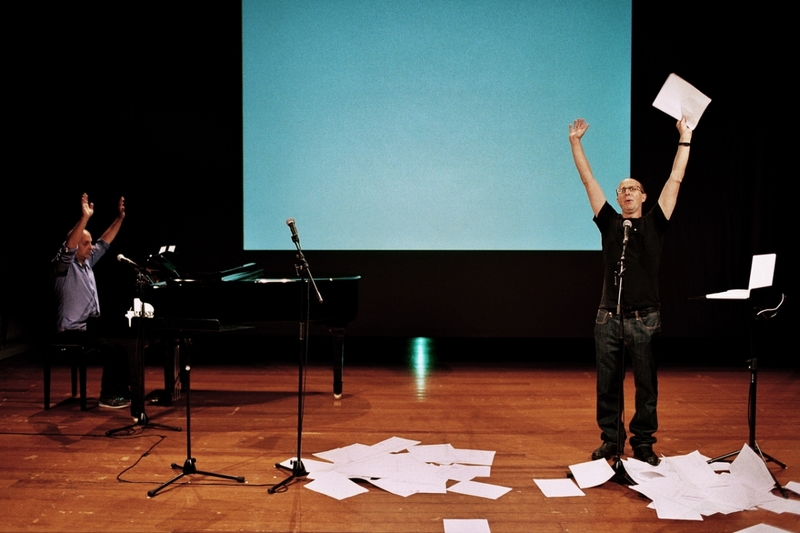 Cheap Lecture (2009) is a rhythmic spoken performance set to music, a tirade about empty hands, audiences, time, repetition and dance and a few other things. It continues the journey Burrows and Fargion began in the first three duets. 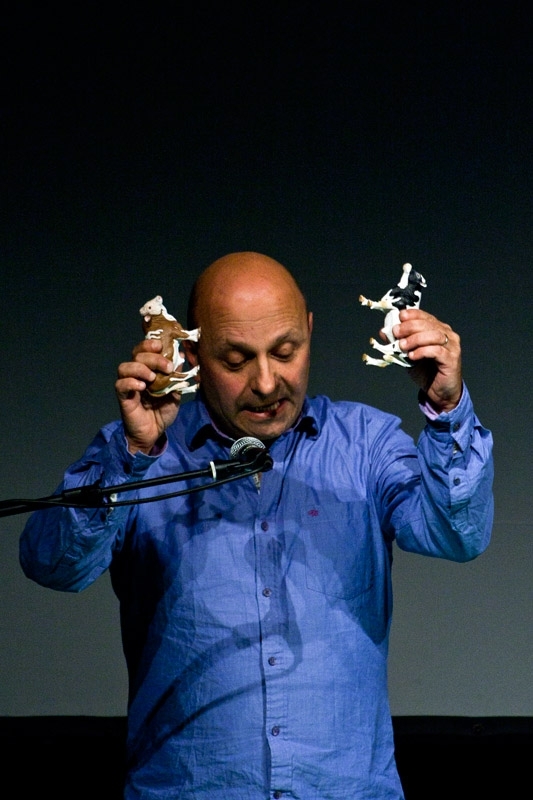 The Cow Piece (2009) repeats the structure of Cheap Lecture. It plays with text, movement and sounds, but also with objects. It is a meditation on dance, music and mortality. Counting To One Hundred , (2011) again plays breathtakingly with rhythm and counterpoint. Deborah Jowitt, the first lady among New York dance critics, wrote the following on Cheap Lecture: ‘When I occasionally feel gloomy during some performance or other, I’ve wished that a fed-up theater goblin would whisk away the show I’m watching and deposit Burrows and Fargion in its place.’ May her will be done.